Home HOME Khashoggi affair: an opportunity at Erdogan’s door? In 2010, Tunisian vendor Mohamed Bouazizi immolated himself the confiscation of his push cart by local officials. Within a month after this incident, the then Tunisian President Ben Ali had to resign and this seemingly individual attempt set in motion the famous ‘Arab Spring’ which toppled multiple regimes in West Asia. New regimes in the region post Arab Spring like that of Muslim Brotherhood in Egypt cropped up only to be sacrificed at the altar of regional conflicts and rivalries. More than half a decade the Arab spring, the region finds itself in deep abyss of political uncertainty, bloodshed and poverty. In October 2018, Jamal Khashoggi, a columnist working for The Washington Post, was brutally murdered inside the Saudi consulate in Istanbul. He visited the Saudi consulate to collect some documents in relation to his forthcoming marriage. Though the incident has not led to any popular protest on the streets; however, it surely has sent ripples in the political circles across the globe. Khashoggi was reportedly murdered and later dismembered at the behest of Saudi Crown Prince Muhammed Bin Salman popularly known as MBS. After numerous flip-flops, the Saudi Arabian government has confessed to Khashoggi’s murder to have taken place inside its consulate. Khashoggi was a Saudi citizen living in self-imposed exile for a year. He was critical of the policies and designs of Crown Prince. His stinging criticism of Yemen crisis being perpetuated by MBS is a case in point. He was also, in the eyes of Saudis, tarnishing the Crown Prince’s image of an economic and social reformer. As luck would have it, Khashoggi’s words against MBS proved too costly and he had to face the wrath of Crown Prince. After details came out regarding a Saudi 15 member team that landed in Istanbul to kill Khashoggi, the American media demanded that political and commercial powers that be distance themselves from Saudi Kingdom. There were several voices demanding a special inquiry into the incident to be conducted by US agencies. Several corporate heavyweights stayed away from ‘Davos in the Desert ’ summit organised by Saudi Arabia. France and UK pulled their ministerial representation out of summit. Much true to his own style the President of USA remained non-committal about this incident; however, after much procrastination, he spoke but didn’t cast the blame on MBS nor did he completely rule it out. To the surprise of American agencies involved in the case, the President went public about his ‘satisfaction’ with Saudi Arabia’s account which claimed that Khashoggi was killed in a fist fight. This one statement ensured that USA was in no mood to disturb its valued relationship with Saudi Arabia. As a retired Indian Diplomat put it “It was too naïve to ask for tough action from USA. If relationship survived 9/11, why would it not live through this?” Action against Saudi Arabia at this point doesn’t fit into Trump’s scheme of things. Trump, influenced by his son-in-law, is on the mission of cornering Iran through measures like scrapping Iran Nuclear Deal and pressurising other countries to stop trading with Iran with the final pursuit of complete breakup of any form of ties with Iran. Thus, MBS is an enfant terrible to be encouraged and supported as he is a pivot to America’s west Asian policy. Ever since reports of murder came into public domain, the Turkish media continuously leaked one piece of information after another. Turkish political leadership made it an important issue to be pursued relentlessly. Demands range from investigation within the Saudi Consulate to prosecution of perpetrators within Turkey under Turkish laws. It’s no secret that Turkey itself has been through turbulent times post an unsuccessful coup against President Recep Tayyip Erdogan. Lakhs of army men , civil servants, teachers etc were purged out of government services on the charge of being sympathetic to Gulenist movement spearheaded by cleric Fethullah Gulen. Khashoggi’s murder provides an opportunity to Erdogan to sidetrack criticism against his own authoritative regime and direct it towards Saudi Arabia. Constitutional amendment carried out by Erdogan has ensured his presence till 2028 as the supreme leader of Turkey. He has poised himself as the strongest leader since Kemal Ataturk, Father of modern Turkey, while leading country towards orthodox Islam. Against a backdrop of power consolidation at home and constant instability in the west Asia, Khashoggi episode provides an elbow room to Erdogan to get even with Saudi Arabia. In 2013, the Saudi Arabian leadership was instrumental in toppling down of President Morsi’s government in Egypt. Morsi’s party Muslim Brotherhood was close to Erdogan’s party (AKP). The Saudis were unnerved by possible Turkish intervention in West Asia through Muslim Brotherhood. Thus, support for regime change in Egypt was soon overwhelmed by Saudi stratagem to limit Turkey’s role in west Asia politics. Another significant development regarding formation of NATO like Arab coalition has driven a wedge between MBS and Erdogan. Further frustrating the chance of any conciliation is Turkey’s position on Qatar blockade issue. Turkey has openly supported Iran and cooperated on supplying essential material to Doha. Turkish military presence in Doha has also rattled Saudi establishment. Within the American establishment Khashoggi’s murder is seen as a flea bite in a time-tested relationship with Saudi Arabia, Turkey, however, perceives it as a golden opportunity to upset relationship between two countries. For Erdogan, this incident brings respite from constant criticism against his ruthless policies from western countries and at the same time it upends image of MBS being a reformer. Erdogan’s aspiration of having considerable heft in west Asia affairs can only be real if he tackles Kurdish militias in and around his territory. YPG (Khurdish milita), backed by Americans, as a dependable ally plays significant role in fight against ISIS, Erdogan wants to use circumstances to his favour as he tries to underline Turkey’s geostrategic importance in Syrian conflict. American support to Turkey at this moment can enable him to crush Khurdish dissenters ruthlessly. Thus, he is not leaving any stone unturned to win over trust of western countries simultaneously contrasting MBS as untrustworthy monarch. 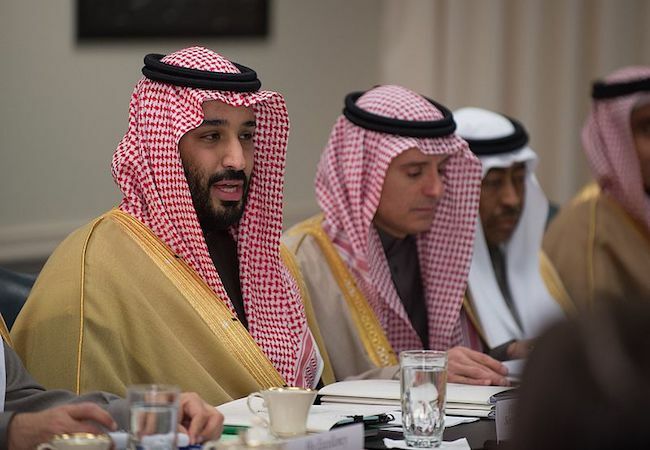 As details about Khashoggi’s murder unravel and pressure mounts on MBS to take action against perpetrators, there are speculations about possible revolt against the Crown Prince inside the palace. Khashoggi’s daughter says that he has left a brave legacy for others to follow; however, his death seems to have become much more than his legacy alone. Whether it will turn out to be a ‘Black Swan Event’ like Bouazizi’s self-immolation, it’s too early to say. Nevertheless, it’s the biggest challenge Saudi Kingdom grapples with right now.